At the moment there are 20 articles on this site relating to Youthwork & Ministry Management in churches and in organisations. Recently a few people have asked me about resources for managing youth workers, and so I thought it would be useful to put up a list of resources which you might find useful to begin your search, to get hold of the odd article or book to help you think about leading and managing. Obviously, do a quick amazon search on Management then you’ll get all the best from Football management to Retail Management and multi-national company management, and all will have something to learn from. 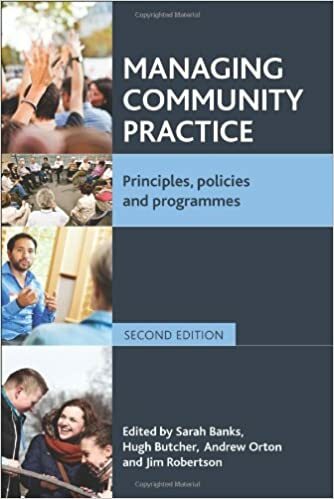 However, to think about leadership and management within the discipline of Youth work and Ministry, and ‘people related organisations, in the social and policy context of the UK, then these might be a place to start. The ones i would highly recommend, for the youthworker, minister for non academic purposes are in italics. If you have any more to add, please write in the comments below and this list can grow. Billis, David. Hybrid Organizations and the Third Sector: Challenges for Practice, Theory and Policy. Basingstoke, Hampshire: Palgrave Macmillan, 2010. Boje, David M., Robert P. Gephart, and Tojo Joseph. Thatchenkery. Postmodern Management and Organization Theory. Thousand Oaks: Sage Publications, 1996. Dawson, Sandra. Analysing Organisations. Basingstoke: Macmillan, 1992. Ford, Kevin. Leading and Managing Youth Work and Services for Young People. Leicester: National Youth Agency, 2005. Goetschius, George W., and M. Joan Tash. Working with Unattached Youth: Problem, Approach, Method; the Report of an Enquiry into the Ways and Means of Contacting and Working with Unattached Young People in an Inner London Borough. London: Routledge & K. Paul, 1967. Handy, Charles B. The Gods of Management: The Changing Work of Organisations. London: Souvenir, 2009. Handy, Charles Brian. Understanding Voluntary Organizations: How to Make Them Function Effectively. London: Penguin, 1988. Jeffs, Tony, and Mark Smith. Youth Work Practice. Houndmills, Basingstoke, Hampshire: Palgrave Macmillan, 2010. Mullins, Laurie J., and Gill Christy. Management & Organisational Behaviour. Harlow: Financial Times Prentice Hall, 2010. Newstrom, John W., William E. Reif, and Robert M. Monczka. A Contingency Approach to Management: Readings. New York: McGraw-Hill, 1975. Ord, Jon. 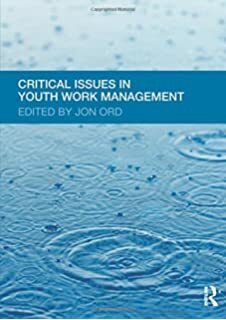 (ed) Critical Issues in Youth Work Management. New York, NY: Routledge, 2011. Pattison, Stephen. The Faith of the Managers: When Management Becomes Religion. London: Cassell, 1997. Ritzer, George. The McDonaldization of Society 6. Los Angeles: Pine Forge, 2011. Torry, Malcolm. Managing Religion: The Management of Christian Religious and Faith-Based Organizations: Volume 1: Internal Relationships. Palgrave Macmillan, 2014. You will notice that there is a lack in titles on Management specifically within Youth Ministry, well, thats in part because the language of management doesnt seem to resonate in Christian ministry very well, in the most part leadership is what is offered, but there are plenty of titles above when the notion of management is explored further and this can be applied to Youth Ministry. In particular chapters on Faith Based management in Ords book is very insightful, and I have referred to his work in a few of the 20 articles within the site, which you can easily find by clicking the topics list to the right. Please do contribute below in the comments if you have found a useful reseource on youth work management, to let other people know about! – there are a few on supervision which i havent included, or personal management ( Covey etc) , but please do share. I hope these help you in your practice and Ministry to lead and manage volunteers and staff in youth work and ministry.